Brookfield Web Designs is a web site design company that specializes in helping businesses to continue to grow through the use of the web. Our innovative design solutions will positively communicate your businesses message and will turn your sites' visitors into customers. Our focus is to make sure the one-time viewer will become a loyal customer by utilizing strong design concepts and tested usability standards. We carefully look at each possible step that could be taken throughout the design process, focusing on constructing a positive, unforgettable experience for your visitors. 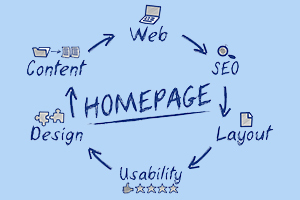 Once your site has been completed and released to the wilds of the web it is only the beginning. You will be presented with never ending opportunities to increase its value. Together we can create a comprehensive marketing strategy to handle these opportunities and put you on the road to unending success. You have a message to tell and we will help you let your soon-to-be customers hear it! We will help you reveal what makes "you" different from you competitors. We will create an awesome design that will engage your visitors. And, if you like you can be a part of the design process. This is your web presence that we are building, and it could also mean having to interact with your visitors through the different types of social media available. Being responsive is being responsible! Whether it is on a hand-held phone, tablet, or computer we will make sure your website will give your visitors nothing less than a first class user experience.